Everything is focused on your comfort to spend your vacation as carefree as beautiful. 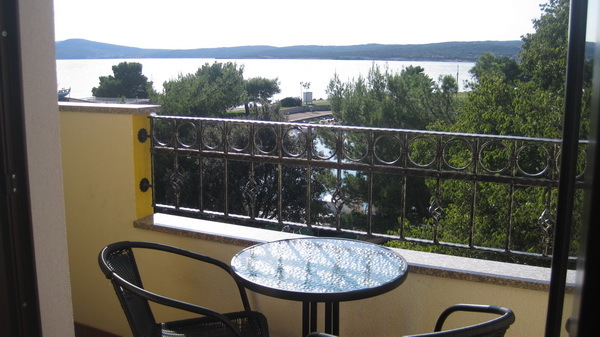 Pansion Guesthouse Ribica is situated in Crikvenica near the port of Podvorska by the sea in the most beautiful part of the city. Next to the building is a supermarket, beach, marina and parking. Accommodation is available in double and triple rooms with private bathroom and toilet. Each room has satellite TV, wireless internet (Wi-Fi), refrigerator, air conditioning and heating which allows the business throughout the year. Croatia is a country of tourism and natural beauty. If you decide to spend your holiday in Croatia on the Adriatic coast with a Mediterranean climate and cheerful people you shall not go wrong. On the coast of the Croatian part of the Adriatic sea coast most people working in tourism for more than a hundred years. Their great experience in working with tourists in the room and apartment rental business in private accommodation holiday houses it is a big guarantee that your holiday will be perfect and you will enjoy the beauties that Croatia can offer to you. Croats are happy people, and many speak foreign languages, so you wont have any difficulties to communicate with them and take with you good memories of your holiday. Croatia is the right place for your vacation where you will enjoy the sun and sea, the Croatian cuisine and smells of the Mediterranean. In the Pension Ribica we rent ten bedrooms, double and triple bedrooms all of which are equipped with air conditioning, Wi-Fi and TV / SAT. In front of the house there is a parking and in the building we have a restaurant with a grill terrace. Almost all rooms have a beautifull sea view. The beach is only 20 m away, and it is also the town beach where you can enter free of charge. 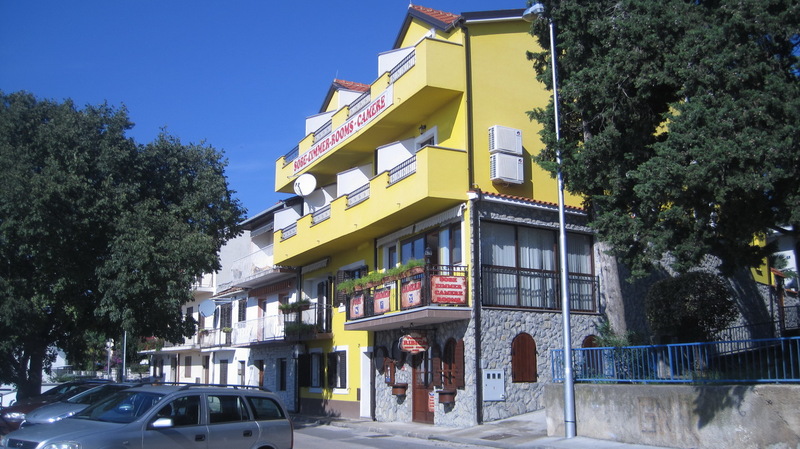 Pension Ribica is located in a quiet part of Crikvenica and also close to the city center and very close to all the happenings in the city. If you wish, you can easily walk to the city center in only 5 minutes, and maybe along the way you decide to stay in one of the restaurants or cafes by the sea or on a romantic dinner or cocktail party, purchase a souvenir or simply sit by the sea and watch the sunset as you have never seen before. 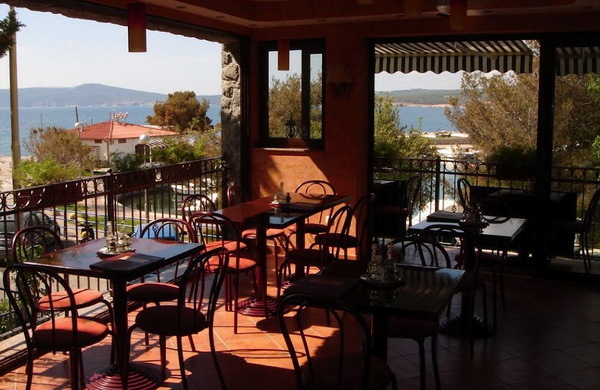 In the pension there is restaurant on two floors arranged as a tavern and pizzeria with terrace and lovely sea views where you can enjoy your breakfast. Popular Main City Beach offers nightly entertainment in its attractive clubs Sabbia and Kataka. Podvorska Beach, which is located a few steps from the Pension Ribica is equipped with showers, changing rooms and many restaurants and bars around it, where you can refresh yourself while enjoying the sun and sea. 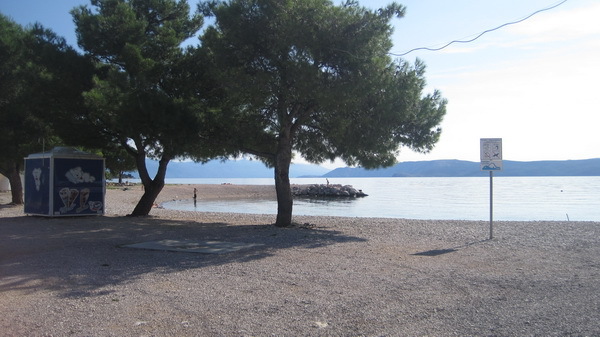 From the center of Crikvenica to the Main City Beach stretches Balustrada Beach with many beach facilities. Opposite the beach of Podvorska, again a few steps from our house there is another beach called Kastel Beach next to the hotel Kastel. All these beaches will make your stay memorable in Crikvenica and your holiday carefree and perfect.